The Dojo is a place of the spirit, we begin with courtesy and end with courtesy. The Way becomes profound, single-mindedly condition and train yourself – never give up. Pride is the beginning of inattention, and the origin of destruction. Always be serious, sincerity is first. The ultimate level of the Way is Harmony, that is the goal of this Ryu. Tokimune Takeda was born in Shimo-yubetsu, Hokkaido in 1916. 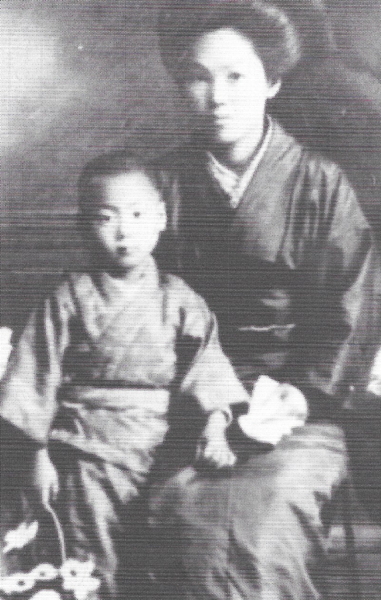 The oldest son of Aikido Founder Morihei Ueshiba’s teacher Sokaku Takeda and Sue Takeda, he was groomed to succeed his father starting around 1925. 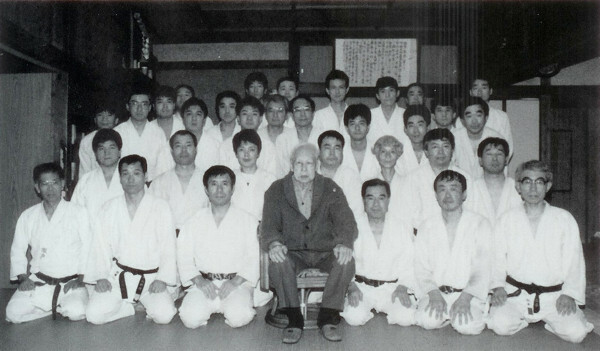 In 1954 he established the Daitokan dojo in Abashiri, Hokkaido, changing the name of his father’s art to “Daito-Ryu Aikibudo” and assuming the title of “Soke”. He taught Daito-ryu there until his death on December 2nd 1993. 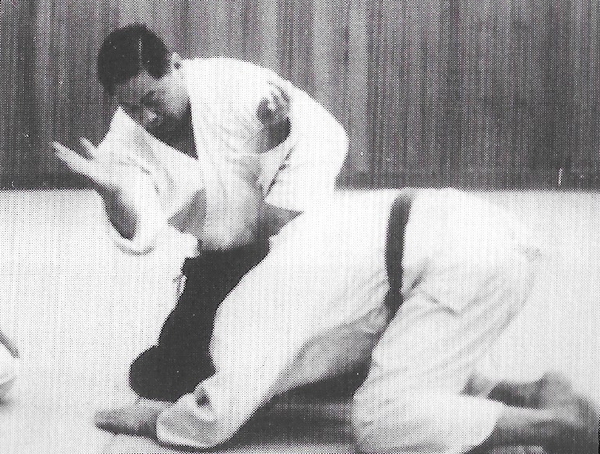 Yoshihisa Ishibashi (石橋義久) was born in Tokyo in 1938 and started training in Daito Ryu at the Daitokan dojo in 1964. He learned Daito-ryu Aikibudo and Ono Ha Itto Ryu Kenjutsu directly from Tokimune Takeda. 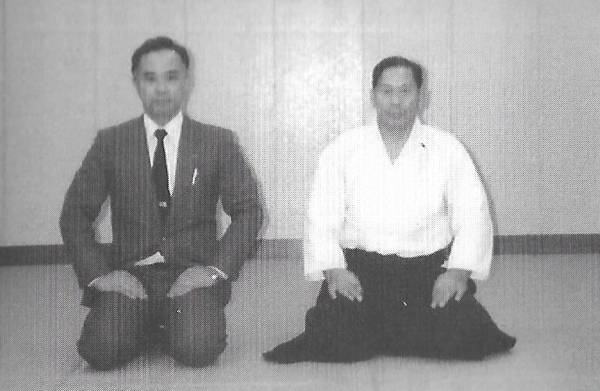 In 1969, together with Yoshimi Tomabechi (苫米地芳見) and Katsuyuki Kondo (近藤勝之), he opened the Katsushika Branch Dojo in Tokyo and was its first head instructor. He received an Ono Ha Itto Ryu license from Junzo Sasamori (笹森順造) and has a breadth of experience from zen to judo, kendo, Shorinji Kempo, and Chen Tai Chi. 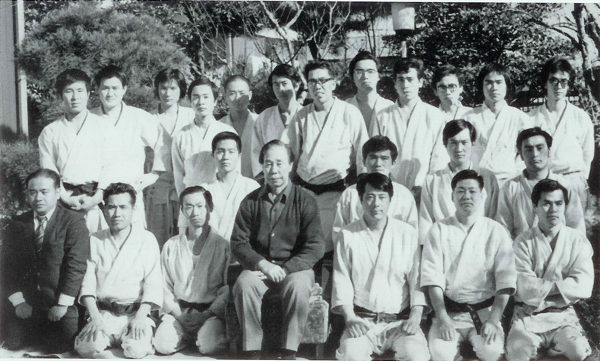 The “118 techniques” in Daito-ryu cover the techniques contained in the Hiden Mokuroku (秘伝目録) certificate , from Ikajo to Gokajo, and were taught as the core curriculum of Tokimune Takeda’s Daito-ryu Aiki Budo. The book “Daito-ryu Aiki Budo 118 Techniques” (大東流合気武道百十八ヶ条) was written by Yoshihisa Ishibashi and published in Japanese in 2015 by BAB Japan publishing company (BABジャパン出版局), which also publishes the popular martial arts magazine Gekkan Hiden (月刊秘伝 / “Secret Teachings Monthly”). 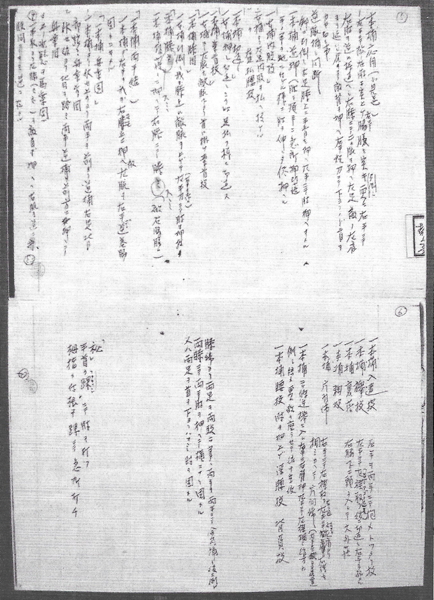 This is the English translation of a section from Ishibashi Sensei’s book in which he reveals some of the Kuden (“oral teachings”) that he received from Tokimune Sensei, and also includes some excerpts from Tokimune Sensei’s personal notes. 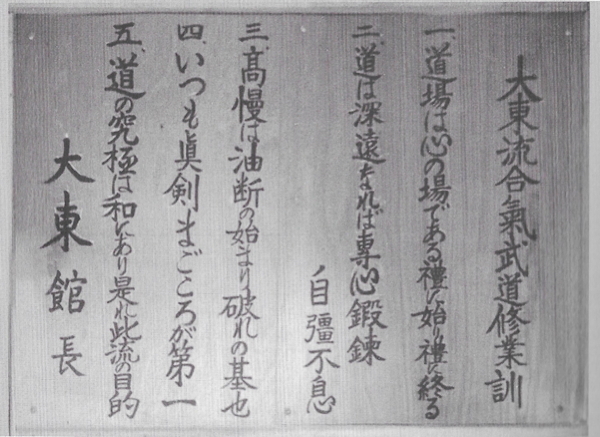 Another section of this book appeared in the article “Solo Training for Kokyu-ryoku and Ki in Daito-ryu Aiki Budo“. In this section I will introduce oral statements from Tokimune Sensei concerning Aiki, as well as statements from his personal notes. The following will discuss the whole of Aiki. Please read it carefully and repeatedly in order to understand it fully. 1) Aiki contains the Okugi (“Inner Secrets”). “Aiki” is to throw the opponent using their own strength. The core of Daito-ryu Aikibudo is Aiki-jujutsu, but it also contains the Okugi of the sword, the spear, the staff and other arts. The universe, phenomena, environment, conditions – all have counter actions, and have no normal form. In/yo, front/back, long/short. Water flows from the mountains, but in the same way it always changes in order to respond to conditions. Aiki is is something that is applied at the necessary time to a specific part of the opponent’s body using the necessary areas of our bodies. One uses every part of their body – Ki and power are focused in the necessary part. Aiki is moving first, Sen-sen-no-sen.
“Aiki-age” contains sen-sen-no-sen and go-go-no-sen.
Defense is the greatest attack, this is Daito-ryu, this is “Aiki”. There is no stance in Aiki, no first attack. Aiki is enacted by concentrating Ki through the unification of the mind and the breath. The power of Aiki is relaxation and Kokyu. Aiki-waza: Human life exists through Ki, it is the cultivation of Ki. Fill the Seika-tandan with Ki through Kokyu-ho, unify your mind to concentrate the power of Ki. Cultivate the Immovable Mind (“Fudo-shin” / 不動心) that is without doubt, without fear (不迷不怖), reach the divine realm that is free from worldly thoughts (“Munen-muso” / 無念無想). Match to the Ki of all things in the universe, and becoming enlightened to good and bad fortune (“Kikyo-kafuku” / 吉凶禍福), reach the secret methods of seeing the future, the relative weighting of the body and insight into the human mind. Master this by tempering your Ki through Zazen (“seated meditation” / 座禅) and Ritsuzen (“standing meditation” / 立禅). Aiki Kokyu-ho: Grip your five fingers and inhale – In (“yin”). Open your five fingers and exhale – Yo (“yang”). Aiki Inyo-ho: Two people practice Aiki Inyo-ho together. When the partner grasps both wrists, one fills their Tanden, underarm and fingertips with Ki and, opening both hands, pushes up towards the partner’s underarms to destabilize the partner and throw them in all directions. 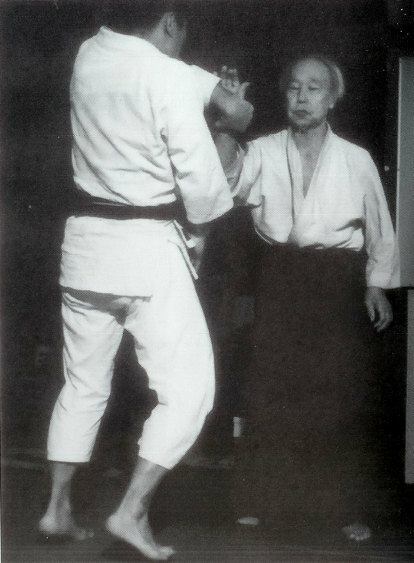 The conditioning in Kokyu-ho uses no forced strength, you are both practicing. It is the same with one hand. There will be exquisite advances in Shin-ki-ryoku (心気力). Oral teaching – “Asagao” (朝顔). No stance (natural stance / “shizentai”). One matches their Ki with the Ki of the attacking opponent as water flows without stagnation. Using the opponent’s power softly we destabilize the opponent’s body and throw them in all directions through changes in our body. Aiki-nage is an applied technique of Aiki-jujutsu. Without using striking or choking techniques,without opposing their Ki, we steal the opponent’s Ki by making swift changes within our bodies. Kokyu and timing are extremely important. When one uses strength it becomes impossible. One always matches the opponent’s movements, breathing and Ki while throwing. 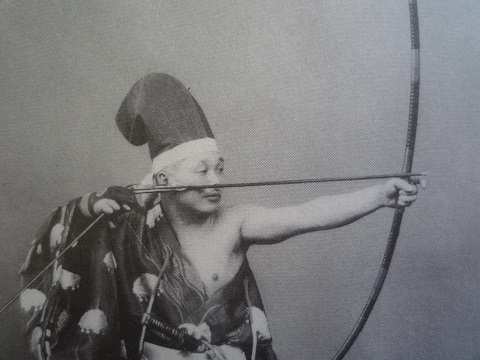 One name for this is Goten-jutsu (御殿術), an Otome-waza (御止技 / “secret technique”) of the Aizu Domain used when one was not carrying the two swords. Shinken Shobu no Kata (真剣勝負の形 / “Combat Forms”): Matching to the flow of the opponent’s Ki, one combines striking, choking and throwing techniques, therefore the forms of defense and control are accompanied by danger. In this training one must be especially careful to make no mistakes (the instructor must have the courage to use discretion). From Ikajo to Gokajo, 108 techniques, Shoden Mokuroku. Here is the complete transmission of all the mysteries. Constantly admonishing and being aware of oneself, strive to reach the mysteries of Aiki. There is no first attack in Aiki-jujutsu. Endure as much as you should endure. Even when it becomes necessary, neutralize the opponent without causing injury through Aiki. Opportunity is important in “Aiki” – it is not something that develops at random, or for everybody. A) Use of the technique applied by the opponent. B) Undo the opponent’s technique, or ward off and use the opponent’s destabilized posture. C) Take the opponent’s technique into a reversal. “Aiki” is to use the opponent’s power to throw. Spiral, rotation, power leading up and down. Push forward. The power of Aiki-age. Gripping hand (“tsukami-te” / 掴み手) in Kakete concentrates the consciousness in the thumb, index finger and little finger. Ceaselessly train the arms (from the tips of the fingers to the shoulders) to be soft. Particularly, stiffness in the elbow is something that persists until the end. b) When one is fortunate enough to be grabbed don’t separate from the grabbing hand until the opponent is controlled. Release your strength and allow the opponent to grasp you completely. Then it is necessary to build a body with soft musculature that can follow the movements of the opponent wherever they go. “Use of reaction” – this is an extremely important component of Aiki technique. Use the reaction to the direction of the pushing and pulling power. Forward and back, up and down, left and right. 4. Stretch out the opponent’s arms. When grabbing the opponent, the power of their arms is enabled by their ability to bend their wrists and elbows. Move your hands slowly up and down, lead the opponent and throw.